[PDF] French Grammar You Really Need To Know (Teach Yourself) | Free eBooks Download - EBOOKEE! Description: Comprehensive and clear explanations of key grammar patterns and structures are reinforced and contextualized through authentic materials. You will not only learn how to construct grammar correctly, but when and where to use it so you sound natural and appropriate. 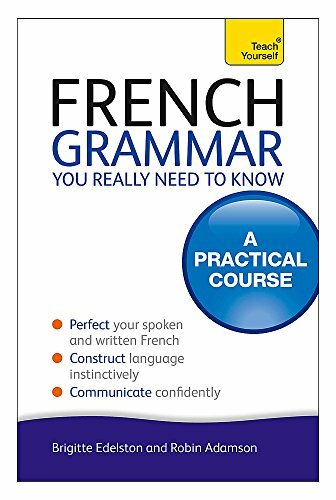 French Grammar You Really Need to Know will help you gain the intuition you need to become a confident communicator in your new language. No comments for "[PDF] French Grammar You Really Need To Know (Teach Yourself)".